Looking To Do International PPC For A Brand? 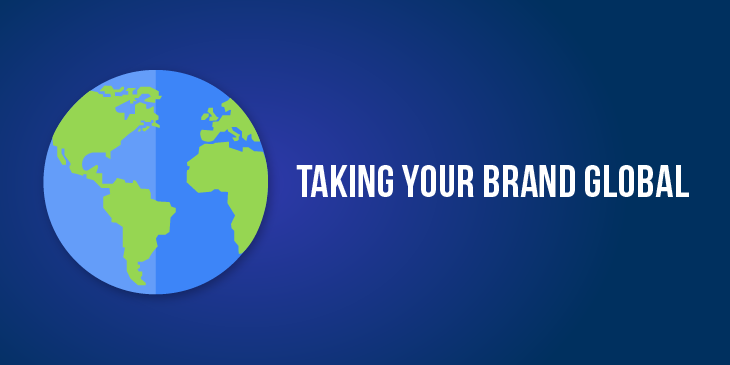 | Take Some Risk Inc.
International PPC: How Do You Take Your Brand Global? Performance marketing at scale as you take your brand global. We will cover the 4 reasons you should consider doing international PPC and how having the wrong strategy & budget can hurt your chances of success. We will show you show to look at your strategy, what to consider including localization, holidays and languages in each new country. Plus one bonus tip to help you set your growth into over drive. Today I want to talk about taking your performance marketing campaign global – why it’s important and how it’s nothing like translation from one language to another. What are some of the reasons you want to grow your brand internationally? Grow – You have saturated the market in your home country and see international growth as a new opportunity. Customer Demand – You may find that customers are already demanding your product in another country then where you are based. Sales – Similarly to customers, you already have sales coming in from another country. It’s easy for your brand to start selling in that next country. Money – You want to make more money and see international growth as that next opportunity. If any of the 4 reasons above resonates with you and your team. Then you need to overcome a few common problems that we see brands have when they want to start working in a new country. Wrong Strategy – many brands pick the wrong strategy when they are going international. A common mistake is taking the current Google Ads account they have and simple add every English speaking country to each campaign that already targets your home country. Budget – Not setting aside enough budget to help test and grow a new market. Under funding any project is going to be a challenge to show success. Many brands, wrongly, assume that the performance they see in their home country is going to be mimicked in their new country for growth. If you make these two common mistakes then it’s going to be twice as hard for your brand to compete in a new country and unlock any unmet demand you could be missing out on. When we work with any brand that wants to enter a new country. We always give that new country their own Google Ads account. We do this for a few different reasons. We want to isolate out performance for that country and make reporting easier. We know that each country is unique and they won’t all convert on the same keywords and ad copy. A one size fits all approach won’t work for most brands. Generally, we’ll give the top 6 – 10 countries that make up 90% of a brands business their own Google Ads account. Each account will focus on brand and competitor campaigns to help with the ad copy testing we mentioned above and build out a good understanding of the market. Within 2 – 3 months we launch campaigns focused on generic search terms and keywords. When setting up each Google Ads account. I’d set the currency to the one you use in your home country. I’d set the timezone to the local time for each country while setting the global account to your local time. This means data will be reported in local time for each country. Translation does not equal localization. 75% of consumers prefer to buy a product online in their native language. If you can not offer that then at least make sure you are providing the right English language to the people in that country. A lot of brands will make the common mistake of not offering as much of their product and content in a local language or even understanding the local culture. This will cost you in sales and CPA when acquiring customers. In China, on Singles’ Day, ecommerce behemoth Alibaba sold $1.5bn worth of goods in just three minutes2. Each one is used by a majority of locals. These are 3 countries where Google doesn’t dominate search and if you’re doing the math, then make up almost 20% of the world’s population. If you are going international, then you will want to look at building your brand a strong conquesting campaign. If you have done the above and have 6 – 10 Google Ads accounts that make up 90% of your business. You should launch a global Google Ads account. This account will use worldwide location targeting to hit every country in the world. Then you’ll use location negatives to target countries you have in the 6 – 10 Google Ads accounts above. By aggregating 180+ countries into one Google Ads account, you’ll see a lift in business that could compete for your home country and the amount of revenue you have coming in. This tip goes against what I said above, however, these countries would never warrant getting their own Google Ads account. They are just too small. Having this global account focus on brand and competitor campaigns, you can grow your business and find up and coming markets in your business.